HÀ NỘI — The National Futsal HDBank Cup is scheduled to kick off on November 15 in the northern province of Quảng Ninh. The tournament has attracted the participation of 10 teams and will be divided into two stages. 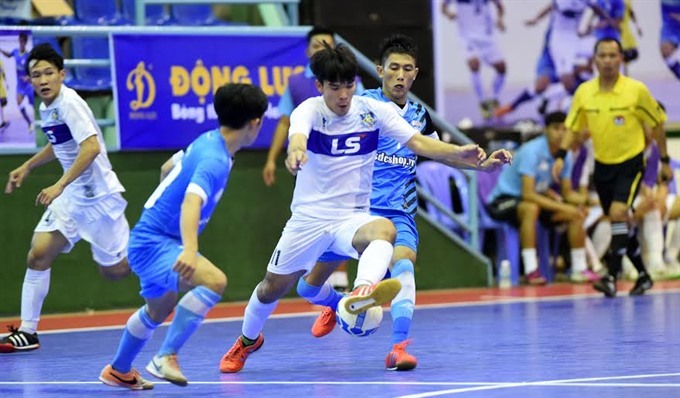 The first stage will take place from November 15-19 with Thái Sơn Bắc, Sanna Khánh Hòa, Kim Toàn Đà Nẵng and Đà Nẵng Futsal Club competing in a round robin format to decide the two teams that will progress to the second stage. The second stage will be held from November 23-27 with the two winners in the first stage and the top six teams from the previous National Futsal HDBank Cup.